INTERNATIONAL RELATIONS: U.S. foreign economic policy; International Organizations; United Nations; U.S. Congress and International Organizations; Africa. POLITICAL ECONOMY OF FINANCE: International Monetary Fund; World Bank; Basel and G20 processes; Politics of stock markets; Congress and banking policy. Dr. Lavelle’s current research explores multilateralism in world affairs. She is currently working on two major projects in this area. The first is a book manuscript that traces the history multilateralism–or the coordination of relations among three or more states according to certain principles—from the nineteenth century to the present. It pays particular attention to the relationship between domestic and international politics that have helped and hindered the process over time. The second project comprises three journal articles specifically related to the global governance of finance. 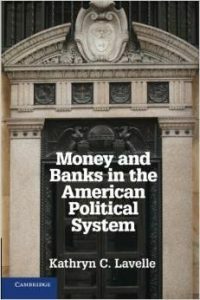 Dr. Lavelle’s most recent book was on the topic of American governing institutions that formulate financial policy titled Money and Banks in the American Political System, released by Cambridge University Press in 2013. She derived the analytical framework for this and her other recent book on Congress and the IMF and World Bank from her experience working as a Congressional fellow on the staff of the House Committee on Financial Services for Chairman Barney Frank. Since that time, she has used extensive archival evidence and interviews to provide additional evidence for the policy process in the domestic and international arenas. 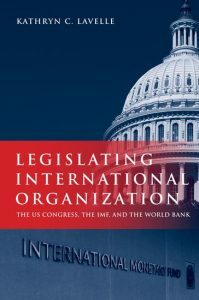 Her other recent book is a scholarly monograph Legislating International Organization: The US Congress, the IMF, and the World Bank (Oxford University Press, 2011), which explores the intersection of national and international politics in the American legislature with respect to the Bretton Woods institutions from their origins to the present. 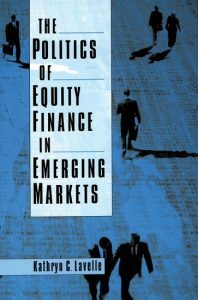 Her first book, The Politics of Equity Finance in Emerging Markets (Oxford University Press, 2004), analyzed the historical and political processes that led to the ownership structures of large firms in middle and low-income countries. She has published articles, book reviews, and chapters appearing in The Journal of Policy History, International Studies Quarterly, Perspectives on Politics, International Organization, Review of International Organizations, The Journal of Modern African Studies, Third World Quarterly, Review of International Political Economy, International Journal of Political Economy, International Studies Review, Journal of International Affairs, Business and Politics, and The Columbia Journal of World Business. Dr. Lavelle has held fellowships and grants from the Woodrow Wilson International Center for Scholars, American Political Science Association, Hagley Museum and Library, and West Africa Research Association. In the spring semester of 2010, she was the Fulbright Visiting Chair in Global Affairs at the Munk Centre, University of Toronto. She is a permanent member of the Council on Foreign Relations. 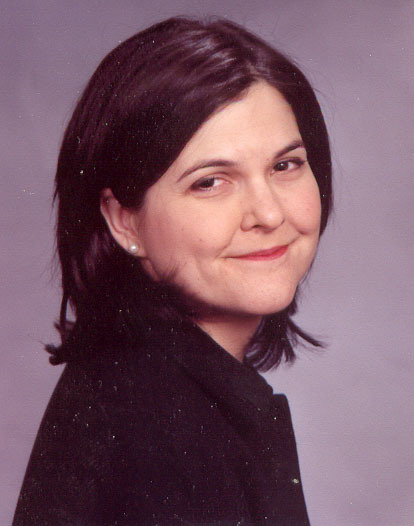 Dr. Lavelle is a global fellow of the Woodrow Wilson International Center for Scholars in its Global Europe program. She also currently serves as a member of the editorial review board of the UNCTAD journal Transnational Corporations, and for her third year is a member of the Fulbright US Student Program’s National Screening Committee. Together with Timothy J. Sinclair at the University of Warwick, she edits a book series Finance Matters for Agenda Publishing in the UK. The series provides advanced introductions to the processes, relationships and institutions that make up the global financial system. She is a past section President of the International Political Economy Section of the International Studies Association–and she has chaired the editorial review committee of the American Political Science Association’s journal PS: Political Science and Politics, served on its editorial board, and served as an associate editor of the Oxford Research Encyclopedia of International Studies.